Don’t smash with a Bible or a large book, please see your hand surgeon. If it’s small and painless, no treatment is needed. It may go away. If it’s large or painful, surgical treatment may be necessary. Needle aspiration should be attempted only by a medical professional and it’s very likely to come back. Dr. Zhang will try to take out the cyst without bursting and remove the stalk with the cyst in an open procedure. 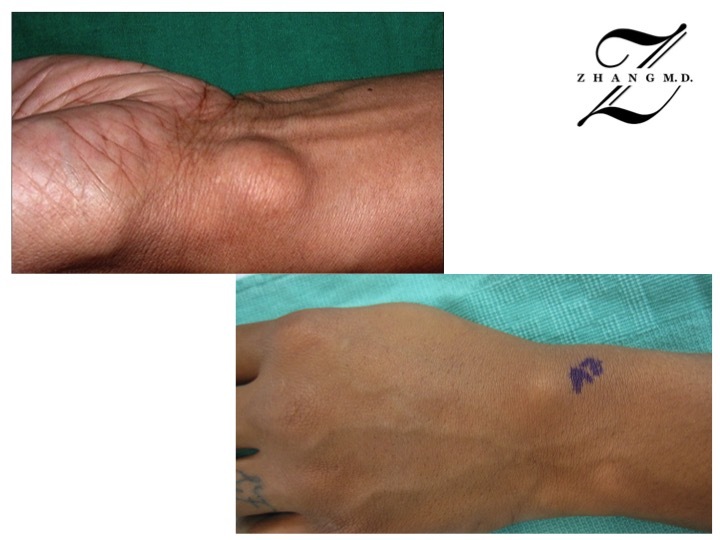 (See Ganglion cyst specimen) Arthroscopic treatment is also available. 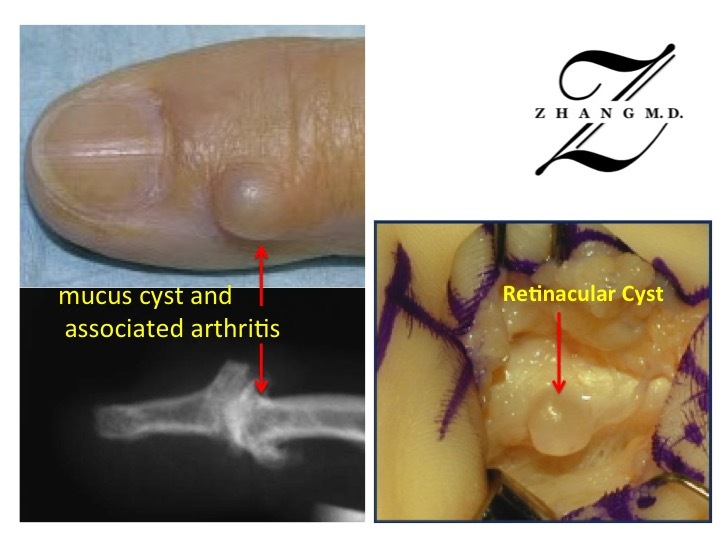 Retinacaular cysts are ganglion cyst of the flexor tendon pulley, where as mucus cysts are associated with arthritis of the finger tip joint. (See other Ganglion cysts of the hand and finger) If symptomatic, these are treated with minor surgery.